Danseries anciennes. 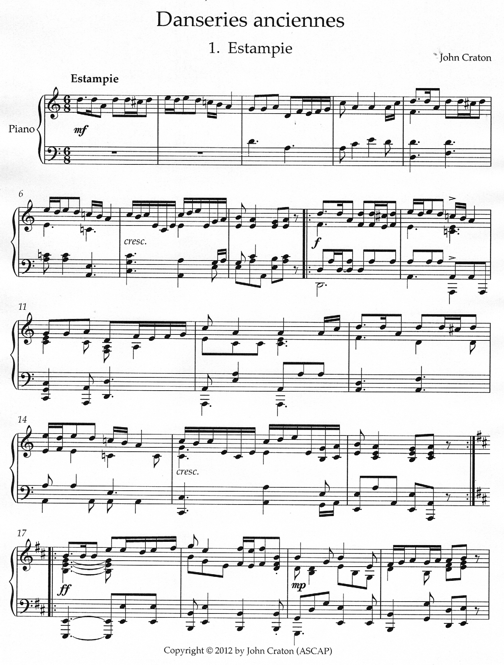 Originally composed for mandolin orchestra and premiered in that version by Het CONSORT under the baton of Alex Timmerman on 19 September 2009 in Bancigny, France, this version is for piano solo. The work consists of original pieces in olden style utilizing Renaissance dance forms. It is dedicated to Alex & Marianne Timmerman.